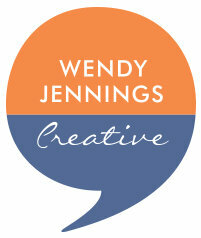 “I have had the pleasure of dealing with Wendy Jennings for multiple important business projects. She has always provided a first-class copywriting and proof reading service, going above and beyond in carefully looking at and amending the literature we have sent her. She is always accommodating and often offers very useful and constructive advice. I would highly recommend Wendy Jennings for anyone looking for a top-notch proof reader and creative writer"
“Wendy provides a very personable service and really tries to understand my business needs. She is very efficient and turns work around extremely quickly which is always of a high quality." Wendy has done a very accurate and professional job for me in proofreading all my coaching newsletters. I am now planning to write a book about coaching for cancer survivors and will definitely be using Wendy's fantastic skills to help me." “I have known Wendy for many years professionally (since 1998 in fact) and am so glad she has set up her own business. Working with her has been fantastic! Wendy, as well as being personable and efficient, is great at the 'detail' and creative thinking - a great combination!"